Tech One Global’s innovation reached new heights once again – the implementation of SharePoint on Nepal’s local banks. The banking sector plays a vital role for a nation’s economy. It serves as the reservoir of the investors of public and private industries. Now, seeing that Nepal is caught between the traditional and trending banking workflows, Tech One Global Nepal leads the banks to the right route through integrating SharePoint on banking processes. TOG Nepals’ team of six made this implementation possible. Headed by Subash Manandhar and Sunaina Pandey, the team composed of: Prayas Chhetri, Rijwan Ansari and Abdul Kaish (Software Engineers), together with Niraj Shakya (Project Manager), came up with great results through goal-oriented approaches and collaborative efforts. 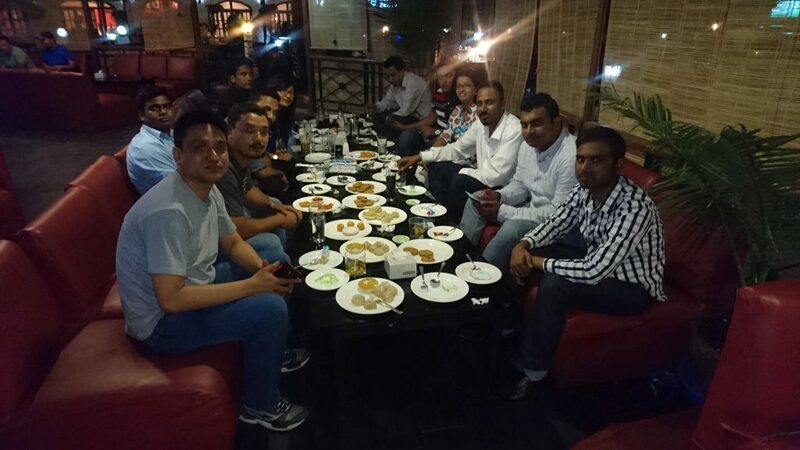 Through the team’s efforts, two banks fully adopted the SharePoint-based banking processes, namely: Bank of Kathmandu last March 29, 2015 and Mega Bank October 7, 2015. Other banks that also adopted SharePoint’s use are: NIC Asia, NMB Bank, Janata Bank and Siddhartha Bank. With the integration of SharePoint within these banks’ workflows, business processes will be optimized. This will result to better tracking of workflows and automated customer service. SharePoint showcases the following features: real-time updates, user-friendly interface for file storage, and document collaboration accessible across platforms. Tech One Global Nepal firmly believes on SharePoint’s benefits on the banking sector and is now fervently making efforts to saturate all of its bits and corners.